Dian Hong Feng Qing Ye Sheng is a rare hand crafted tea from a ‘Ye Sheng’ wild purple leaf varietal, grown at high altitude in Fengqing County. 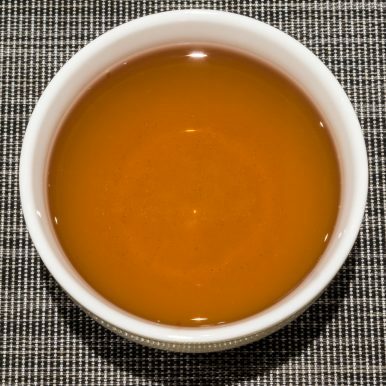 It has a bright golden liquor with a complex profile. The smooth taste is fruity and woody with sweet notes of pipe tobacco and sugared plums. 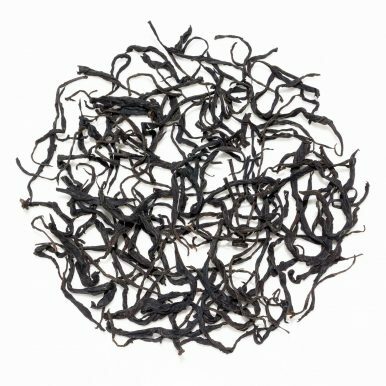 Dian Hong Feng Qing Ye Sheng (滇紅凤庆野生) is a complex black tea that grows wild in the mountainous forests of Feng Qing County of Yunnan Province. 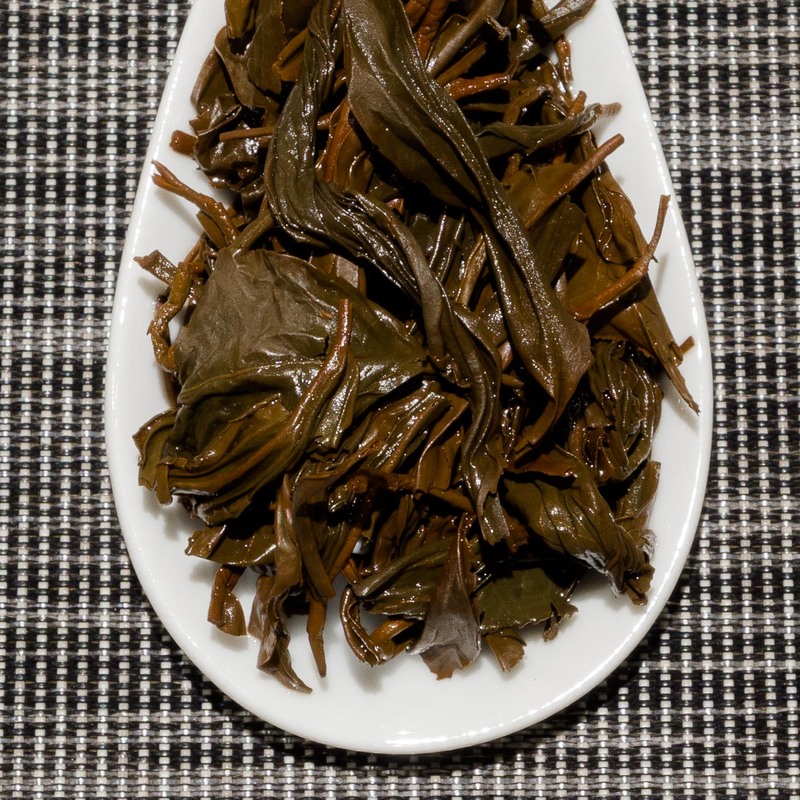 It is made from a wild purple leaf varietal that is locally known as ‘Ye Sheng’ (野生) that grows at an altitude of 2,000-2,200 metres. 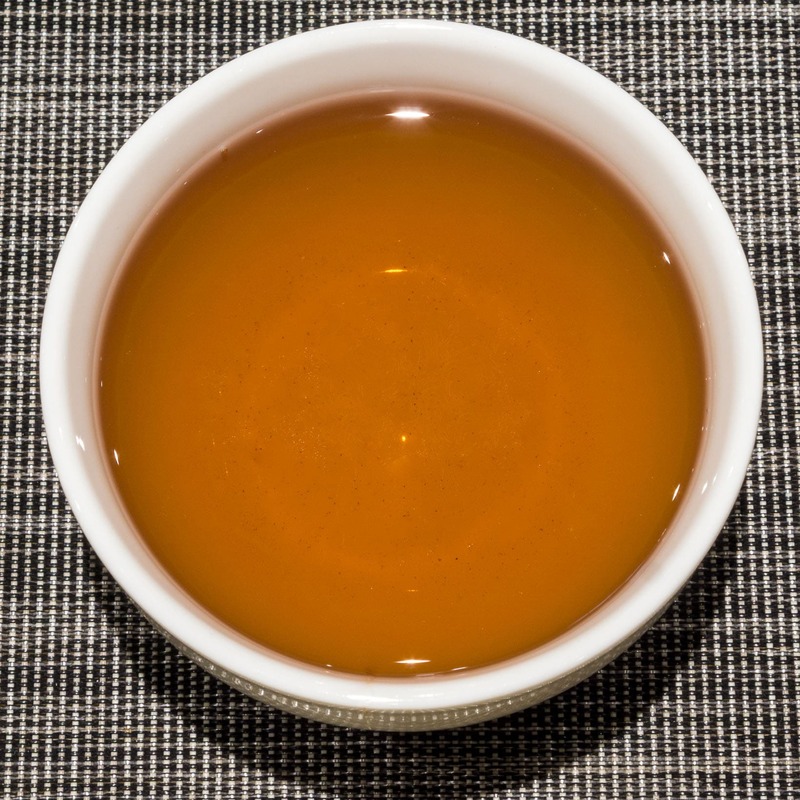 This wild purple leaf varietal is normally recognised as Camellia sinensis var. 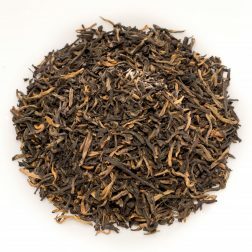 dehungensis and is considered to be the ‘original’ purple tea. 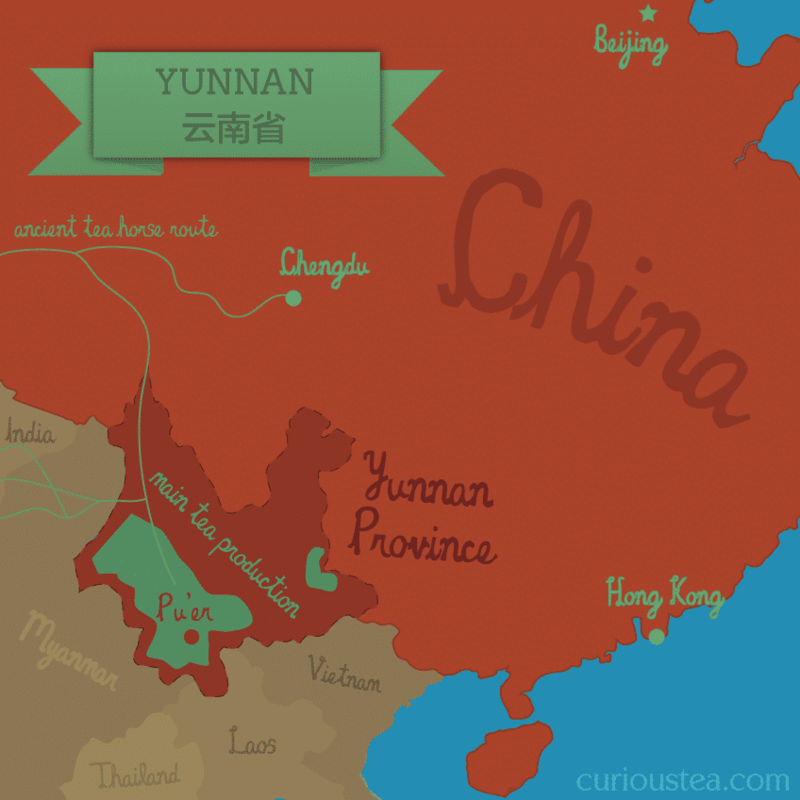 It is thought that this plant predates other modern cultivars of tea, including Camellia sinensis var. 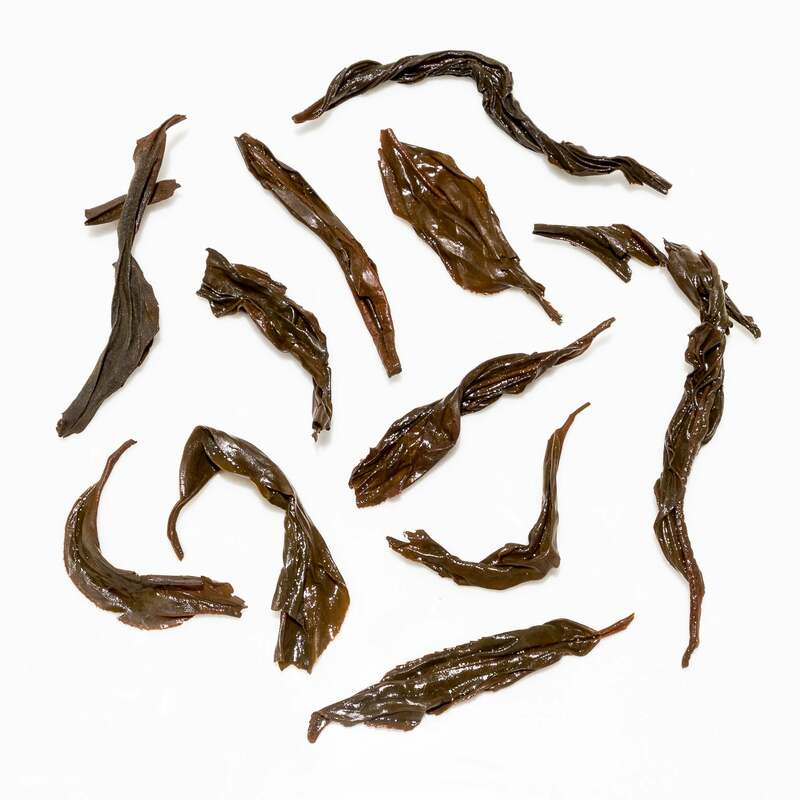 assamica that is a common varietal throughout Yunnan and bordering regions. Spring 2018 harvest. Normally this tea cultivar is used for making a type of raw pu-erh, however the nature of the varietal means that the resulting tea is very bitter and unappealing when young. 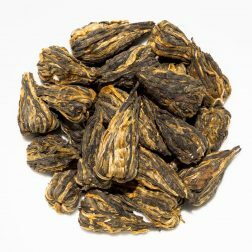 However this type of ‘Ye Sheng’ pu-erh does age very well, developing complexity and becoming less bitter with time. 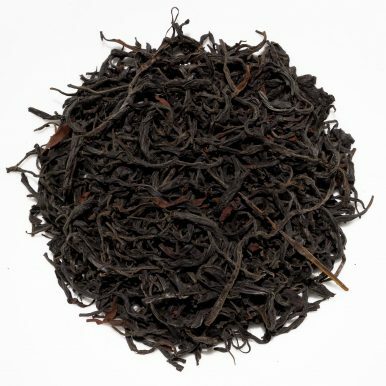 Recently this cultivar has also been used to make some black teas, of which this one is an excellent example. We also offer another black Ye Sheng tea from De Hong, Dian Hong De Hong Ye Sheng, which, while being made form the same type of tree, has quite a different flavour profile. This Dian Hong Feng Qing Ye Sheng black tea has large black and red wiry leaves that produce a bright golden liquor with a malty and fruity aroma. 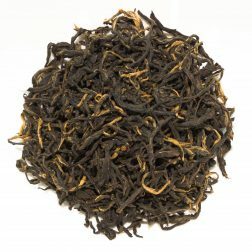 The taste is on the lighter side but is still complex, with a woody and fruity character that is very appealing. 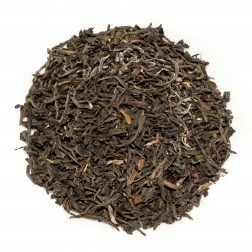 There are sweet notes of pipe tobacco and sugared plums that complete the taste and compliment the slight woody astringency of this tea. 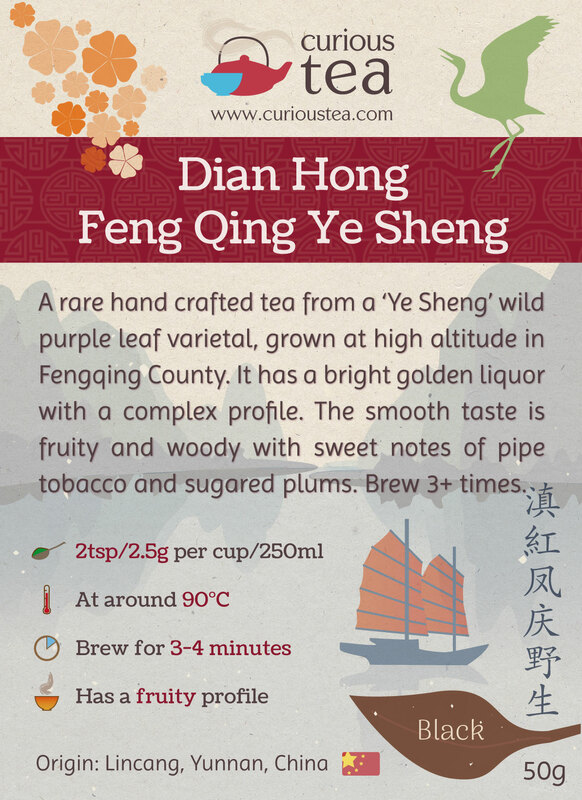 Dian Hong Feng Qing Ye Sheng black tea was first featured in our January 2018 Curious Tea Subscription Boxes.